PROTI is the manufacturer that produces the most complete types of fully forged Ti bolt that applied to many motorcycle models from different manufacturers. We provide the most competitive price and good profit to your business, if you are interested please fill out the blank as below and press the button of ‘’Submit and I’d like to know more’’, we will mail the project file to you after your inquiry has been confirmed (you must run or are the owner of a motorcycle shop). We are proudly looking forward to your registration to provide fine quality products and service to you. E-mail * Note:E-Mail is you login account. 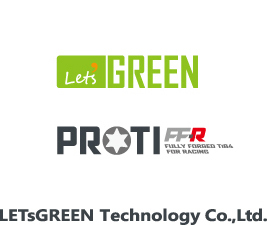 The system will automatically send your inquiry to service@letsgreen.tw We guarantee will not disclose any info that you’ve registered at this website to public or any other usage.